If it sounds too good to be true – it’s probably fake! For years we tried to avoid eBay. We’ve always preferred local sellers in place of worldwide ones. But, sometimes you cannot find everything locally or for the right price and have to take a risk. We finally registered on eBay as we desperately wanted to purchase some photography gear, and saw an item located in China, for unrealistically low price. On top of the price itself was free shipping by Air Mail! 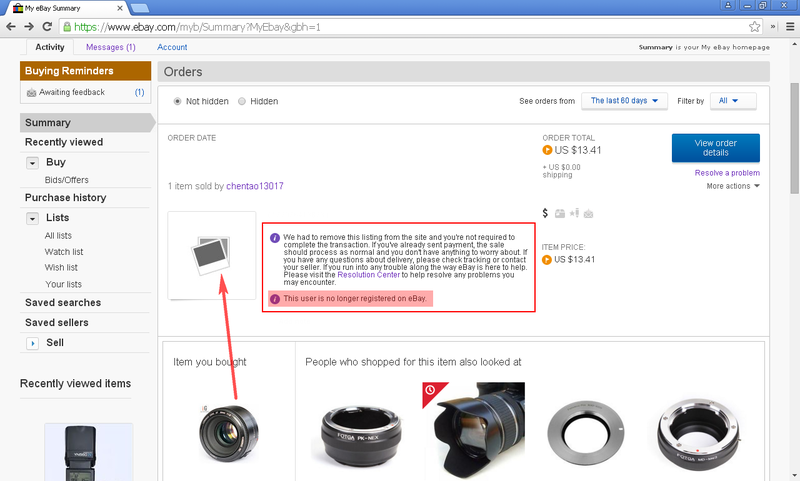 All right, nothing suspicious with free shipping, as this is a common thing for e.g. on AliExpress store (as they have contracts with China Post), but other than that, the price of the item was extremely “fishy”. The lens purchased was Yongnuo YN50mm F/1.8 EF mount for Canon EOS DSLRs, and it’s usual/common price is around US $50-$55. However, this seller was selling it for around $14! 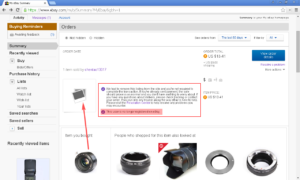 Well, given the fact that we had absolutely no previous experience with eBay shopping at all, we assumed that things like these frauds are very uncommon. Wrong! Seller builds good and honest reputation for the first couple of months. 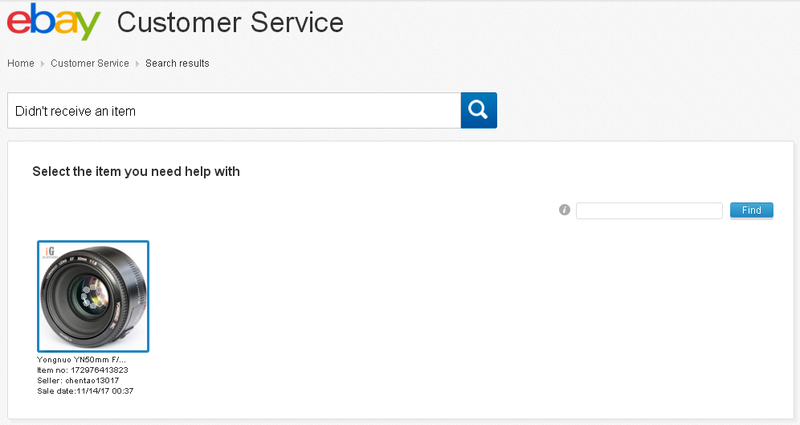 It collects no less than a 100.00% positive feedback. 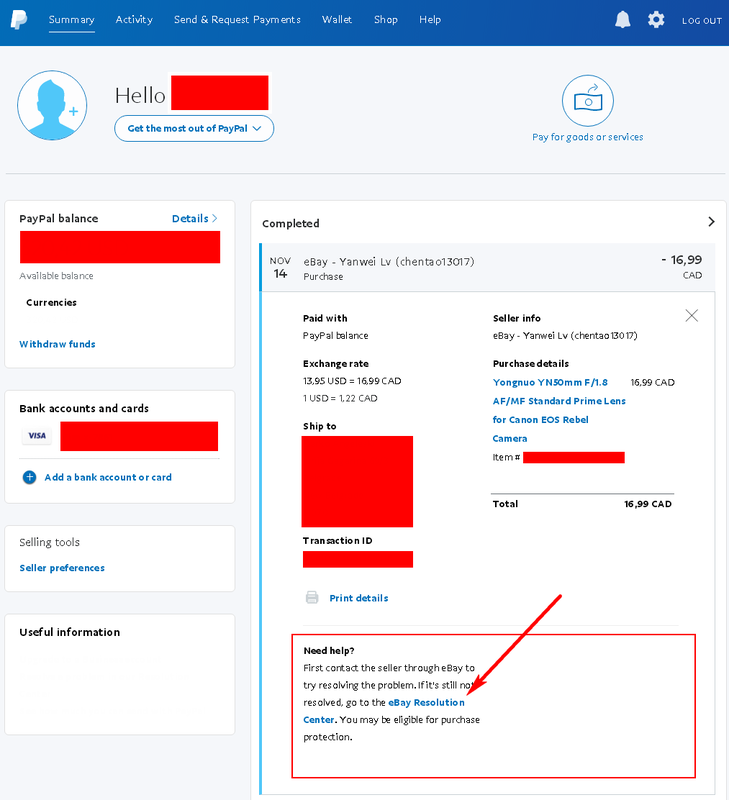 Seller finally engages the “fraud mode”, posting an item (or group of items) for an unrealistically low price. The fish is slowly (or, rather fast) drawn into the net… There is nothing suspicious going on, seller already has 2-digits positive feedback score, and there is not a single reason for a doubt. 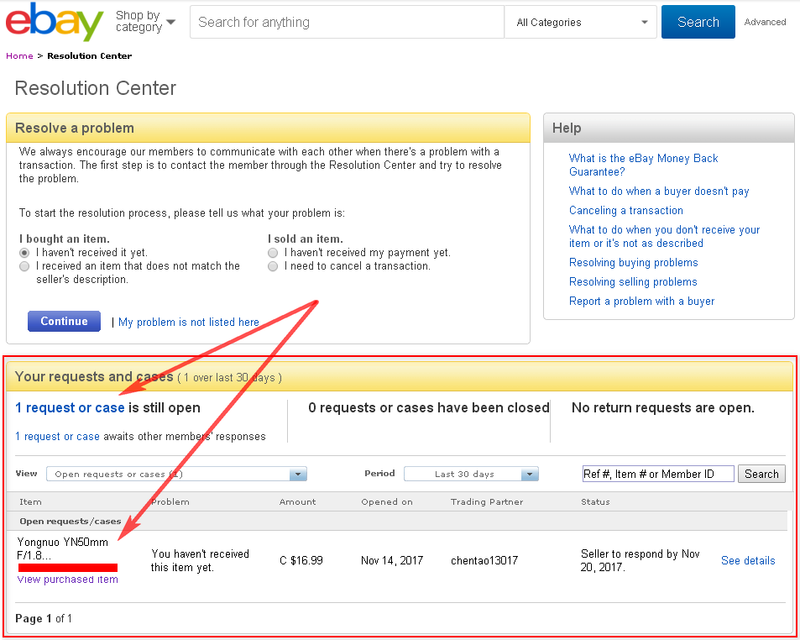 After couple of days of your purchase you never hear from the seller again, and eBay sends you notification that item that you bid, purchased or won is no longer available. This is a generic automated eBay message, mind you, it does not have a single word about potential fraud or scam going on. 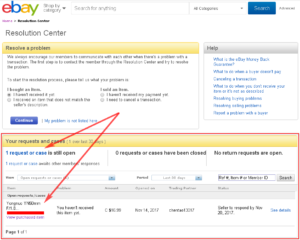 If you are curious enough, you will visit your dashboard and ex-items page, just to see that it is no longer available, but also that the seller is no longer a registered member on eBay! If that doesn’t ring your alarm bell, nothing will. 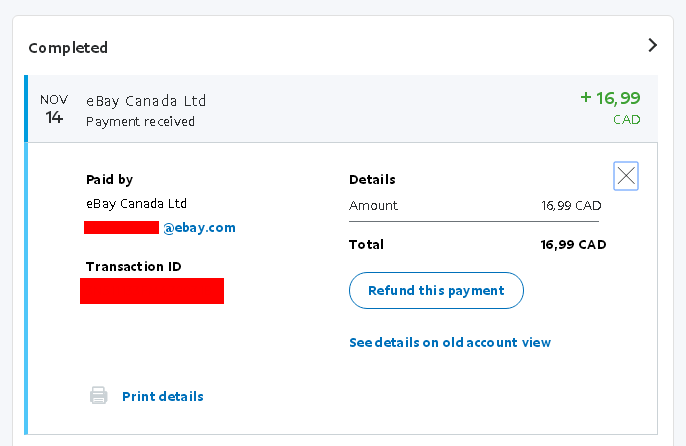 More over, another indicator that something “fishy” was going on (but we didn’t immediately connect two events together) was an attack on our email account we’ve used for registration on eBay. In the past several hours after our first purchase we were literally bombed with the worst kind of spam imaginable every single minute (thanks to Gmail, it was all filtered out!). As the only notable change was our eBay registration and single purchase event, seller received our contact email, and he is the one responsible for this menace, too. And, we aren’t alone about this issue, either. Ok. All right. Take a deep breath. Calm. Relax. 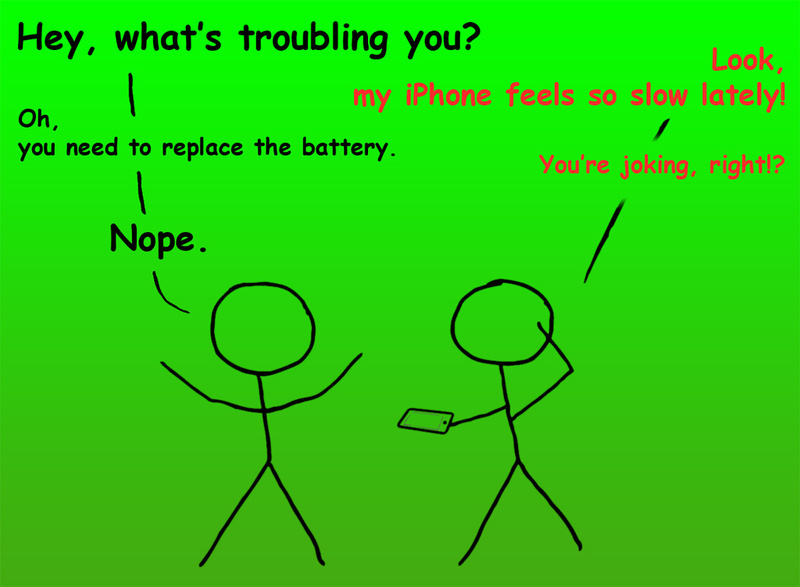 You’ll be fine. Now, it’s time to take some action! 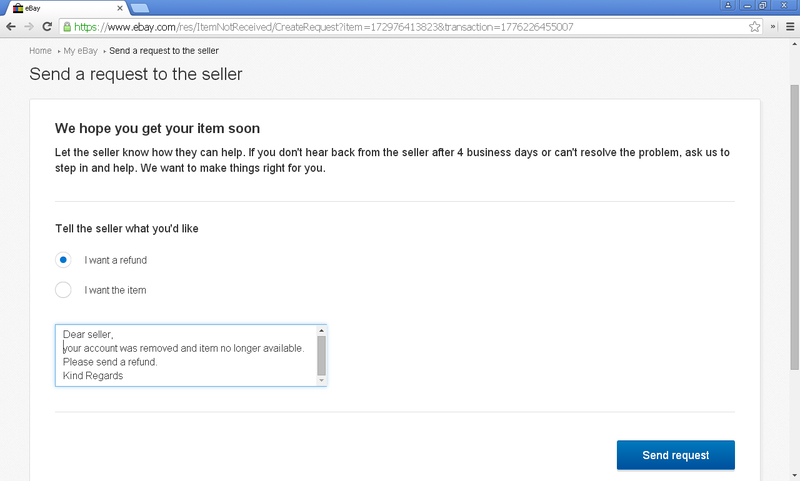 eBay does not have a real-time email/chat support, apparently, but don’t let that minor detail discourage you. 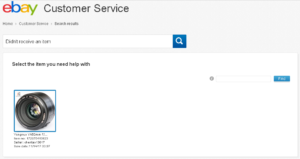 If you really feel like total panic/emergency case, you may place a phone call @ eBay’s Customer Service number 1-866-540-3229 (or if you care to navigate through all the eBay Help & Support maze of links, you may actually schedule a call from eBay’s representative agent; call waiting time is around 1 to 3 minutes). However, according to our own experience, at least in obvious fraud cases like this, this is usually not required. Read on. 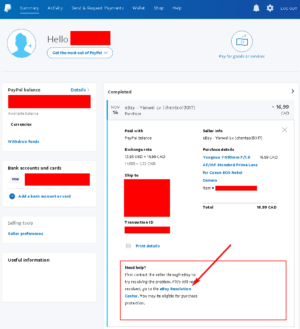 That is usually fine IF the seller’s account still existed in the first place, but this case is peculiar because it no longer does! So, who and how will receive this message? Hmm… but never mind, let’s do it anyway! After you send the message into the electronic mail heaven (a.k.a. black hole), you need to wait 4 days. 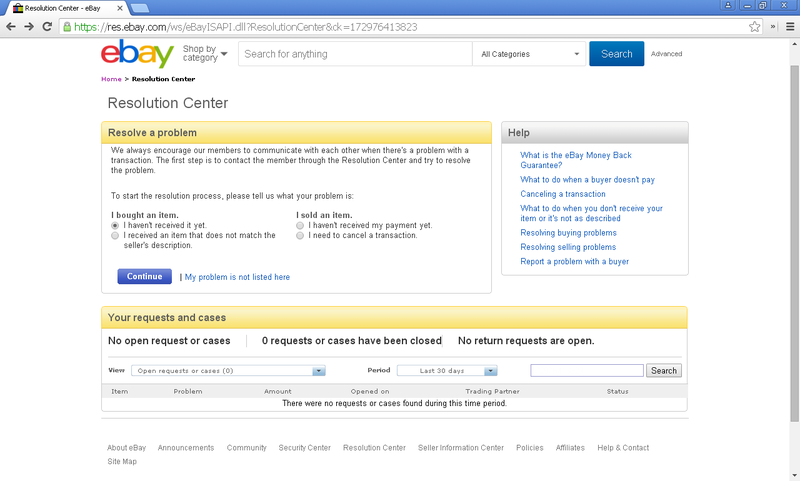 If the seller does not respond in the next 96 hours (and trust us – it won’t), eBay will step-in and resolve your issue. No, we haven’t waited 96 hours at all for our dear scammer to ‘respond’ (poor soul), and the reason why this happened was probably that we weren’t the only victim in this entire scheme. 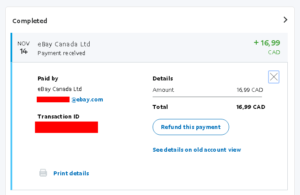 So, eBay added 1+1 and concluded that this was a ‘legitimate fraud’ (pun fully intended). Amount of money was not too large (still, that does not mean it is fine). 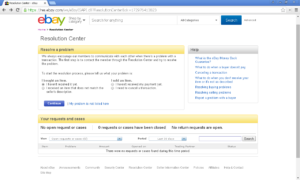 eBay / PayPal guarantee was displayed before purchase, which gave us a complete piece of mind! It was a happy end, after all, despite the rough start. Despite all our online shopping experience in the past, which was usually always positive, we couldn’t predict that this would happen to us on one of the oldest and most popular online platforms in the world. Hopefully, we will be much more careful next time and not fall for obvious scams at first sight. Remember: if it is too good to be true – turn around 180 degrees and look into the opposite direction! Save yourself additional stress and trouble, it is not worth it.